Jessying - Malaysia Beauty Blog - Skin Care reviews, Make Up reviews and latest beauty news in town! 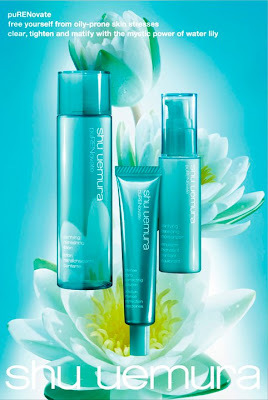 : Shu Uemura latest range puRENovate to combat oily skin! 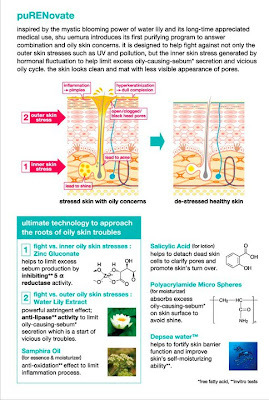 Shu Uemura latest range puRENovate to combat oily skin! 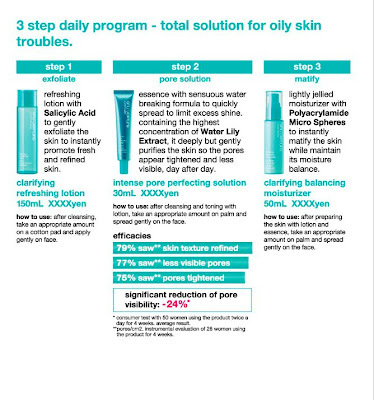 Shu Uemura's first purifying program from the latest range puRENovate to answer combination and oily skin concerns. The mystic power of water lily helps to free yourself from oily-prone skin. Get the clear, tighten and matifying brand new complexion today! Shu Uemura says with these mystical power of water lily we can say Goodbye to our oily skin complexion ! 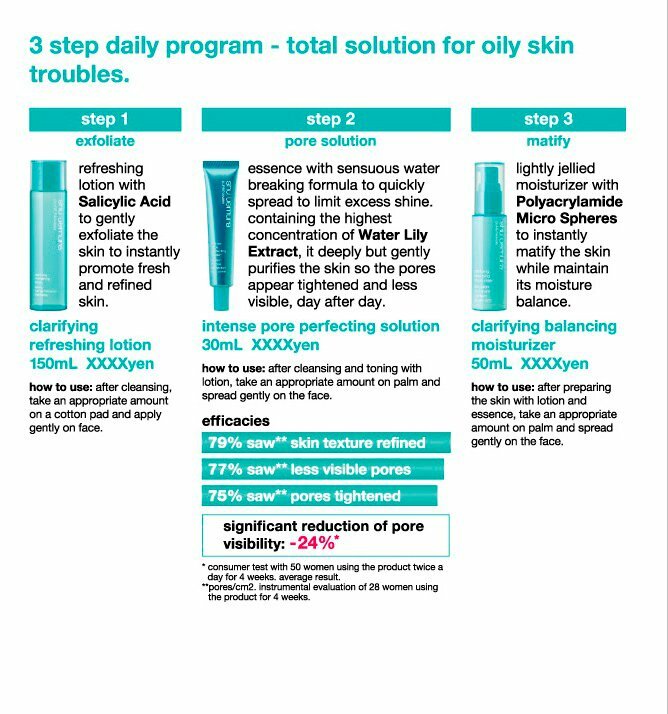 The simple 3 step daily program to solve oily skin troubles! Anyone with oily skin complexion check out this yet ? p/s: Does this look similar to Clarins White Plus Hp Range, which is also using sea lily extract as the key ingredient to stop the formation of dark spots right from the roots. But I think its different species of lily by looking at both flowers. Anyway Lily is my favorite flower, so IF anyone who wants to give me flowers, get me a bouquets of lilies or skincare with lilies extract or maybe something smell like lily!